Home EVENTS Uhuru's speech on the call for an extended period of prayer and reconciliation. 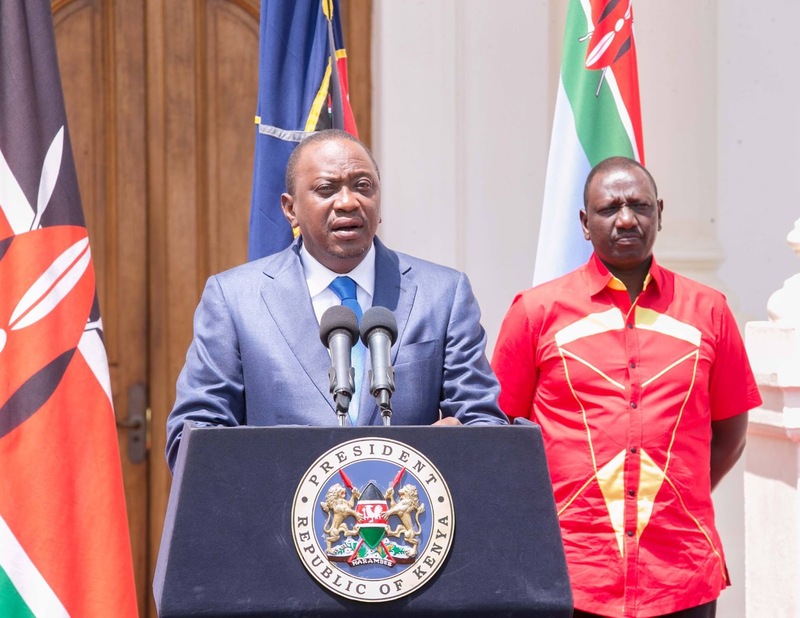 Uhuru's speech on the call for an extended period of prayer and reconciliation. On the 8th of August, Kenyans went to the polls to elect their leaders, including their President. The elections were the most peaceful in our nation’s history; they were free, fair and transparent. Subsequently, the Supreme Court, citing irregularities, annulled the result, and ordered that a fresh election be conducted within 60 days. The path since the Supreme Court decision has not been easy for our country, but we thank God for seeing us through. Now as we walk towards the 26th of October, as a God-fearing people, we beckon our God to give us divine guidance to fulfill our constitutional mandate and we will. Scripture says that if the people who are called by my name will humble themselves, and pray, and seek my face, and turn from their wicked ways, then I will hear from heaven, and forgive their sin, and will heal their land. The first step — and one which I hereby call for — is an extended period of prayer and reconciliation this weekend. After consultations with religious leaders, I have reached this decision to call on all Kenyans to pray for their country in their mosques, temples and churches, culminating in a National Day of Prayer on Sunday 22nd October 2017. On that day we will be asking for God’s blessing for our nation: we will also ask God to abide with us, and to guide us, both in this period, and in time to come. We will pray for our leaders: that they may be granted wisdom, humility, and that they may love peace and justice. We will also pray for each other: for if your brother or sister asks you forgiveness, do not withhold it. For the truth is that the politics of the day is fleeting, but this nation, under God’s care, endures. We cannot let what is fleeting sully what is permanent. Let me close with a word of thanks for the spiritual and moral guidance that our churches, mosques, temples, and our religious leaders have provided, especially in the last few months. I ask them to continue to stand with the country, and to pray for us, that we may be guided by God’s grace, in the week in which we prepare for the October 26 elections, and always. God has lifted this country before. He will do so again.